Target is my all time favorite store. 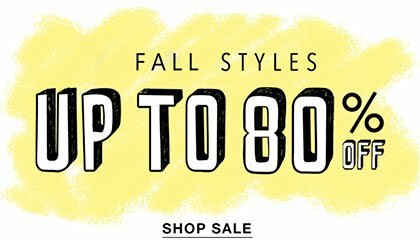 I love their collection of skin care, shoes and fashion style. 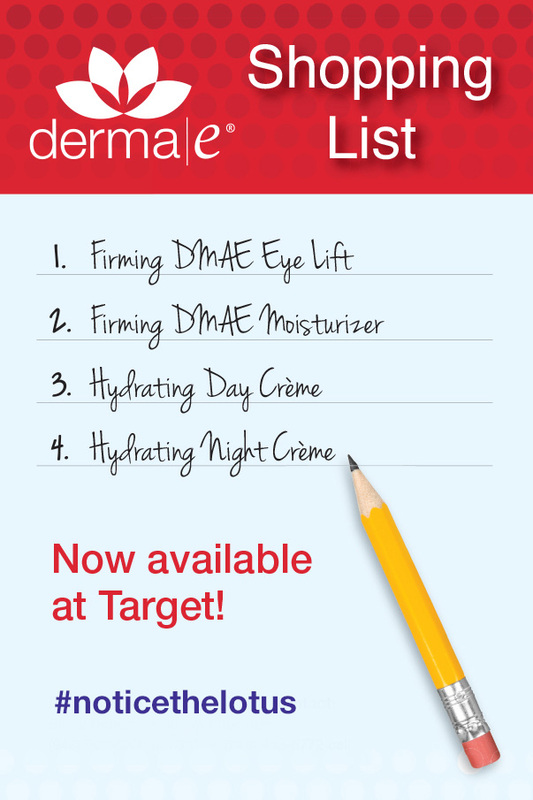 This year I was definitely looking forward to try their Firming DMAE Eye Lift Crème. I have puffy eyes and I continuously need to treat them on everyday basis. 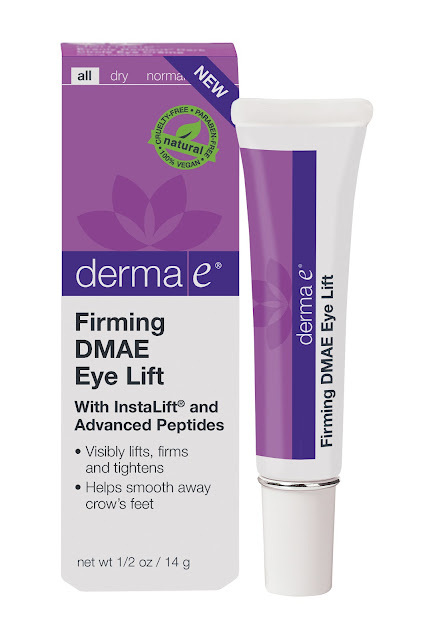 Firming DMAE Eye Lift visibly lift, firm and tighten the delicate eye area while smoothing crow’s feet with this doctor-developed, multi-action eye treatment creme that contains advanced, clinically proven natural ingredients. Advanced peptides Argireline® and Matrixyl® synthe'6® work together to soften facial muscles and synthesize new key components such as collagen, helping smooth wrinkles and discourage new lines from forming. Hyaluronic Acid, also known as nature's moisture magnet, infuses a surge of cooling eye moisture helping leave skin soft, smooth, tone and rehydrated. derma e® pushed skincare forward in a new direction by fusing powerful vitamins and plants together with modern science - we called it Green Chemistry. Continuing to be always aware, derma e® adheres to the highest ethical standards when it comes to animal welfare and our impact on the planet.